Corbett has played just 11 snaps for this Browns this year, 10 of which came as a run-blocker, where he earned a run-blocking grade of 55.2. 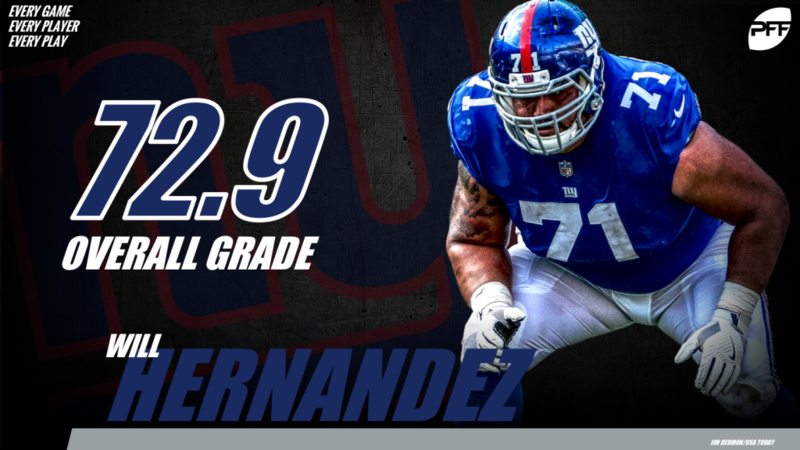 Hernandez has been one of the few bright spots on a floundering Giants team, and he has been productive as both a pass-blocker and as a run-blocker. He is one of only nine guards with a pass-blocking and run-blocking grade above 67.0. Chubb showed enough to the Browns that they traded Hyde to get him more playing time – and rightfully so. Chubb is the owner of the highest elusive rating among running backs, he has averaged a league-high 4.61 rushing yards after contact per attempt, and he has 18 avoided tackles on 74 rushing attempts. 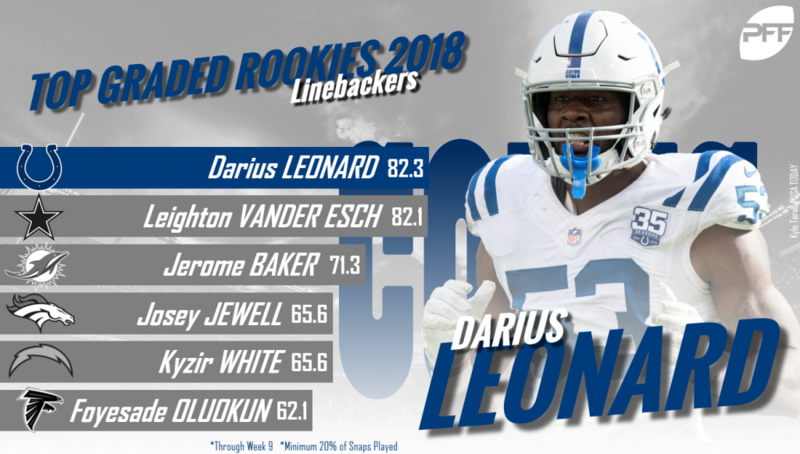 As a rookie, Leonard has already jumped into the upper tier of NFL linebackers this season with his play. He has been a strong tackler, only missing three tackles this season on 87 tackling attempts, for a tackling efficiency of 29.0 that ranks fifth among linebackers with at least 300 defensive snaps.